Matthew Weston joined Southdowns in 2003 as a Senior Consultant, prior to his subsequent promotion to principal consultant. 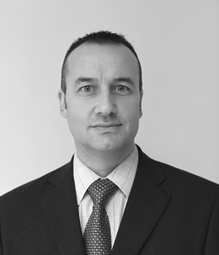 He has over 25 years' experience in the combined fields of industrial noise control and acoustic consultancy. His extensive experience in the design and implementation of acoustic mitigation provides a unique technical service in the field of environmental acoustic consultancy. Since joining Southdowns he has project managed and advised on noise, vibration and air quality issues on a number of large projects within the construction, transportation, commercial, residential and planning sectors. Additionally Matthew has surveyed and assessed a number of Environment Agency licenced waste transfer and treatment sites providing witness statements and advice leading to successful prosecution.